We are a group of family-owned companies controlled by the same owners. Our companies are part of a common value chain and we can leverage on synergies across our Group. Our companies embrace a common corporate culture and operate under the same framework of values and policies . We aim to operate our businesses and activities responsibly, transparently and sustainably. Mr Aik Htun is founder of Shwe Taung and Chairman of its Board of Directors. He is the driving force behind Shwe Taung’s exponential growth from a modest trading house in 1970 to one of Myanmar’s largest corporations today. His leadership has been pivotal in building Shwe Taung into a diversified conglomerate with key businesses in building materials, distribution, engineering & construction, infrastructure investments, lifestyle, and real estate. Aik Htun has always played a proactive role in Myanmar’s nation building. This is reflected in Shwe Taung’s focus on delivering solutions aimed at sustaining progress for the country. Shwe Taung has participated in key development projects such as highway, road and bridge construction, power grid construction, and landmark real estate projects. Shwe Taung’s commitment to corporate social responsibility is driven by Aik Htun’s belief in being a catalyst for positive change. 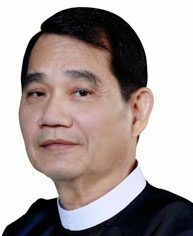 Under his leadership, Shwe Taung participated in the United Nations Global Compact since 2013, committing itself to adopting sustainable and socially responsible policies in the areas of human rights, labour, the environment and anti-corruption. On the corporate philanthropy front, Shwe Taung has donated close to US$25 million to charitable causes, including the construction and donation of 98 schools and three hospitals. 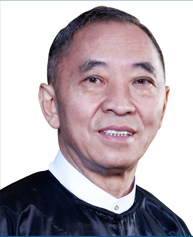 Aik Htun is Chairman of Myanmar’s International Business Promotion Centre (IBPC), Vice President of the Council of China’s Foreign Trade (CCFT), Vice President of Myanmar Construction Entrepreneurs Association, and Honorary Chairman of Myanmar Overseas Chinese Charity Association. Mr Aung Zaw Naing is the Group CEO of Shwe Taung and leads its Management Committee. He is a member of Shwe Taung’s Board of Directors and a member of its Investment Committee. He is also a Chairman of the Board of Shwe Taung Building Materials. As Group CEO, Aung Zaw Naing is responsible for setting the strategic direction for Shwe Taung and overseeing and delivering the Group’s performance. Aung Zaw Naing started his career at Shwe Taung, learning from his father Aik Htun. He held various key positions including in construction, finance, marketing and strategy before assuming the post of Group CEO. Having successfully strengthened Shwe Taung’s capabilities in the core sectors of building materials, distribution, engineering & construction, infrastructure investments, and real estate, he is the driving force behind Shwe Taung’s entry into new business areas of insurance, finance and lifestyle.Under Aung Zaw Naing’s leadership, Shwe Taung constructed some of Myanmar’s largest and most challenging projects – Baluchaung No.3 hydropower plant; Myanmar Radio & Television Building; Ruby Hall, a 60,000 sqm venue for the 2014 ASEAN Summit; Hledan Junction flyover; and Junction City, a 260,000 sqm world class integrated development in downtown Yangon. 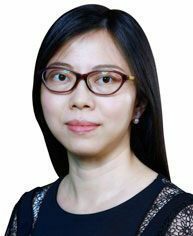 Shwe Taung was named Myanmar’s Best Overall Developer, Best Retail Developer, and Best Office Developer at the 2015 Euromoney Real Estate Awards and again clinched the Best Retail Developer honour at the 2016 Euromoney Awards. Shwe Taung also received Myanmar’s Best Developer Award at the Myanmar Property Awards 2016. Junction City received a total of six Awards at The Myanmar Property Awards 2016. Shwe Taung has been consistently recognised as one of Myanmar’s largest taxpayers. Aung Zaw Naing serves as Chairman of the Myanmar Institute of Directors. Aung Zaw Naing served as Chairman of Myanmar Martial Arts Federation under the Ministry of Sport. The Federation achieved phenomenal success in 2013 at the 27th Southeast Asian Games, clinching nine Gold medals for Myanmar. Mr Ye Myint is one of the co-founders of Shwe Taung. 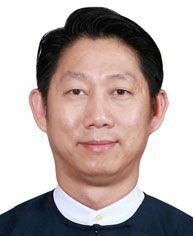 He is a member of Shwe Taung’s Board of Directors, Chairman of its Organisation & Sustainability Committee, Chairman of the Board of Shwe Taung Infrastructure Investments, as well as Chairman of the Board of Shwe Taung Distribution. Ye Myint was responsible for Shwe Taung’s expansion into regional development projects. With his management skills and operational experience, Ye Myint led the way for Shwe Taung to be at the forefront of construction standards in Myanmar. HTCT, a company under Shwe Taung Engineering and Construction, is ISO certified and provides high quality ready mixed CVC and RCC concrete for a broad spectrum of construction needs. It is the sole supplier of RCC concrete for the largest RCC dam in Myanmar, the Yeywa Hydropower Plant. Under his leadership, Shwe Taung Engineering and Construction continued to embark on other hydropower projects including Upper Paunglaung near Naypyidaw, Thahtay, Ann in Rakkhine State, and Upper Yeywa in Southern Shan State. Shwe Taung’s latest project, Baluchang No(3), firmly established Shwe Taung as the market leader in hydropower in Myanmar. 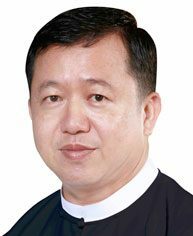 Ye Myint is Vice Chairman of the Myanmar Hotelier Association (Ngwe Saung zone), Vice Chairman of Myanmar Thaing Federation, a member of the Union of Myanmar Federation of Chambers of Commerce and Industry, and a member of the Myanmar Rice Industry Association. Mr Aung Than is one of the co-founders of Shwe Taung. 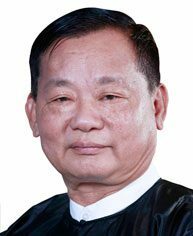 He is a member of Shwe Taung’s Board of Directors, Chairman of its Investment Committee, Chairman of the Board of Shwe Taung Building Materials as well as Chairman of the Management Committee of Shwe Taung Engineering & Construction. Aung Than joined Shwe Taung in 1990. Under his leadership, Shwe Taung Engineering and Construction grew to become the market leader in construction in Myanmar today, known for constructing landmark projects and utilising the latest construction technologies. Supporting the urbanisation of Yangon and other parts of Myanmar, Shwe Taung Engineering and Construction has delivered more than 200 projects including the iconic mixed-used development Junction City, the Myanmar International Convention Centre, the Dagon Ayeyarwum low cost housing project, Hlaing township residential upgrading and development, and Thumingalabar township development. Aung Than is a member of the Myanmar Engineering Society. Mr Win Htay is Deputy CEO of Shwe Taung and a member of its Management Committee. 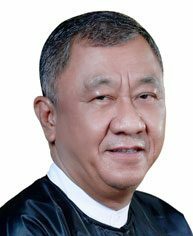 He is also a member of Shwe Taung’s Board of Directors, which he chairs the Audit & Risk Committee. Win Htay joined Shwe Taung in 1992 and has worked closely with Aik Htun, Chairman of Shwe Taung, to build the company. A firm believer in developing human talent, Win Htay pioneered a series of skills enhancement programmes for Shwe Taung employees of all levels. He was part of a core team that spearheaded the restructuring of Shwe Taung and its employee remuneration package.Win Htay was appointed Director of Shwe Taung Energy in 2010 and is responsible for Shwe Taung Energy’s gasoline and diesel distribution centres across Yangon, Pegu, Mandalay and Sagaing. Win Htay is a member of Myanmar Petroleum Trade Association. Ms Sandar Htun is Chief Executive Officer of Shwe Taung Real Estate. She is a member of Shwe Taung’s Board of Directors and of its Management Committee. She is also acting Chief Executive Officer of Shwe Taung Lifestyle. Sandar Htun joined Shwe Taung in the 1990s and has been instrumental in establishing Shwe Taung’s Junction Centre Group as Myanmar’s largest shopping centre owner and operator. Her team consistently pushed the boundaries of the retail operation and experience in Myanmar, and is at the forefront of bringing international retail standards into the country. Shwe Taung was awarded Best Retail Developer in Myanmar at the 2015 and 2016 Euromoney Real Estate Awards.Sandar Htun also heads the Corporate Social Responsibility team in Shwe Taung. Shwe Taung actively participates in programmes dedicated to enhancing human capital, protecting the environment, building communities, and promoting greater transparency in corporate governance and accountability. Shwe Taung has been a member of the United Nations Global Compact since 2013. Mr Tun Aung San is Co-Chief Executive Officer of Infrastructure E&C, Shwe Taung Engineering & Construction. He is a member of Shwe Taung’s Management Committee. He joined Shwe Taung in 1995 and focused on construction and project development for 13 years before moving to road and bridge construction. In 2008, Tun Aung San spearheaded the Sagaing toll road project that was completed in record time, together with two other projects. Tun Aung San was Managing Director of Golden Tri Star in 2009 where he provided guidance for all construction and piling foundation works within Shwe Taung. Mr Chan Mya is Chief Executive Officer of Shwe Taung Distribution. He is a member of Shwe Taung’s Management Committee. Chan Mya joined Shwe Taung in 1995, focusing on resource planning and cost control for the group. 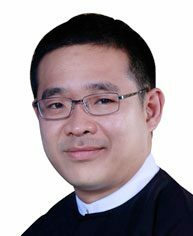 He was appointed Managing Director of Octagon International Services (OIS), now part of Shwe Taung Distribution, in 2006. 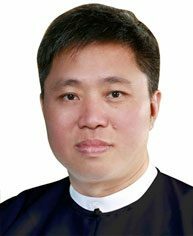 Under his leadership, Shwe Taung Distribution is now a top distributor of world-leading brands for machinery and vehicles in Myanmar. Shwe Taung Distribution introduced Scania and Liebherr into the Myanmar market in 2007. In addition to distribution services, Shwe Taung Distribution also provides professional operation and maintenance services for vehicles and machines, as well as high quality safety and operations training for its clients. In 2012, Shwe Taung Distribution extended its range of services to include logistics and trading businesses. Mr Han Thein Lwin is Chief Executive Officer of Infrastructure E&C, Shwe Taung Engineering & Construction. He is a member of Shwe Taung’s Management Committee. 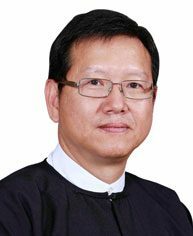 Han Thein Lwin joined Shwe Taung in 1998 and grew High Tech Concrete (HTC), part of Shwe Taung Building Materials, into a market leader in construction materials in Myanmar. HTC, the first ISO (9001:2000) certified company in Myanmar’s ready-mixed concrete industry, manufactures and supplies ready-mixed concrete and related services to construction sites all over the country. Han Thein Lwin built a skilled workforce and instituted a market-oriented structure and effective management practices at Shwe Taung Building Materials, successfully entrenching its leadership position in the construction materials market in Myanmar. Mr Myo Naung is a member of Shwe Taung’s Management Committee. He is also Managing Director of Grand Guardian Insurance. Upon liberalisation of the Myanmar insurance industry in 2012, Myo Naung was in charge of setting up Grand Guardian Insurance to deliver better insurance products, introduce value-added services and raise the level of professionalism in the Myanmar insurance industry. Grand Guardian Insurance has its headquarters in Yangon and six branch offices in Mandalay, Monywa, Nay Pyi Taw, Lashio, Pakkoku and Mawlamying. Before being appointed as Managing Director of Grand Guardian Insurance in 2013, Myo Naung was Managing Director of Shwe Taung Cement. Prior to that, he was responsible for administrative and human resource functions at Shwe Taung. Ms Mi Mi Khaing is Deputy Chief Executive Officer of Shwe Taung Real Estate. She is a member of Shwe Taung’s Management Committee. 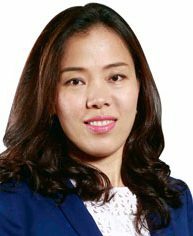 Since joining Shwe Taung in 2005, Mi Mi Khaing has been in charge of Shwe Taung’s residential property marketing and management. Focusing on implementing real estate solutions that meet customers’ needs, Shwe Taung Real Estate not only effectively markets their residential projects but also provides quality after sales services and property management programmes that help customers preserve the value of their investment. Shwe Taung Group is organised into six business sectors: Distribution, Building Materials, Infrastructure Investments, Engineering & Construction, Real Estate, and Lifestyle. As an essential part of our commitment to corporate governance, each business sector follows the Group’s corporate governance policies and procedures.